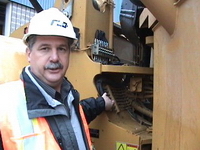 Automatic Lubrication Systems: FLO Components Resource Library, How-to Videos and Tips for automatic greasing systems (autogreasers), equipment and supplies – FLO Components – Automatic Lubrication Systems Specialist in Ontario and Manitoba. 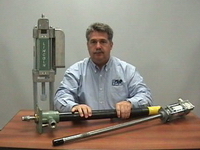 Does your Automatic Greasing system include a pressure gauge? 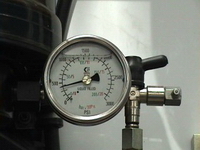 A pressure gauge allows for visual monitoring of the system pressure during regular maintenance inspections. This how-to video explains how it works. DON’T CONTAMINATE YOUR LUBE RESERVOIR! An Automatic Lubrication System will increase the life of your equipment by dispensing small measured amounts of grease at frequent intervals while your equipment is operating. However, the incorrect method of refilling the lube reservoir through the lid will result in contamination of the system and ultimately leads to system breakdowns and unnecessary repairs or replacement costs. This how-to video shows you some of the alternatives available for properly filling the reservoir and some pitfalls to watch out for. FLO Lube Tip – Questions to Ask When Sourcing an Automatic Greasing System. There are several manufacturers offering automatic lubrication systems in the industry today, so when you’re sourcing a system, it’s important to make sure you’re comparing apples to apples. Make sure you ask the questions in this video. FLO Lube Tip – How to Fill a Grease Gun from Bulk Containers.For most companies, there comes a time when it becomes more economical to buy grease in bulk instead of cartridges. This video shows you how to modify your grease gun so you can fill it from bulk, as well as the procedures for filling the gun from a bulk container or filler pump. 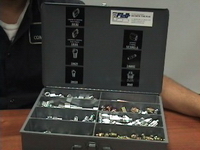 FLO Lube Tip – Spare Parts Kit for Auto Lube Systems. You can’t afford to have your machine sitting in the shop for hours because of a broken line or fitting on the lube system. This video shows you some of the tools and supplies you should keep in your cab to address minor problems you may encounter in the field. FLO Lube Tip – Progressive vs. 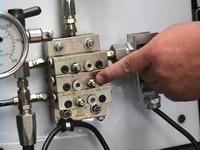 Parallel Automatic Lubrication Systems. There are different operating principles by which Autogreasers are designed. The 2 most common types of ALS used on mobile equipment are Series Progressive and Parallel. This video discusses some of the major differences. FLO Lube Tip – Winter-Prepping Your Automatic Greasing System. This video lists things you should do before winter to make sure your automatic lubrication system operates properly throughout the cold winter months. FLO Lube Tip – What a Properly Lubricated Bearing Looks Like. Both under-lubrication and over-lubrication can be devastating to a bearing. 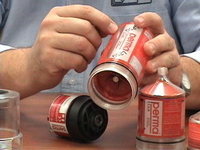 This video shows how a properly lubricated bearing should look. 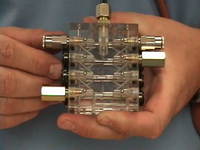 FLO Lube Tip – How a Single-Block Progressive Metering Valve Operates. This video features the internal mechanics of a progressive type grease metering valve in an automatic lubrication system and some important aspects to note when designing or modifying a system. FLO Lube Tip – The 5 Main Components of an Automatic Lubrication System. This video walks you through the five main components that make up any auto lube system, regardless of the brand or operating principle of the system. 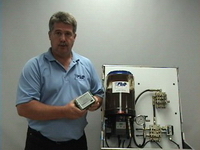 FLO Lube Tip – Single Point Automatic Lubricators: Part 1. Single point automatic lubricators are designed to lubricate a single point or few points, often in remote or hard to reach locations or when larger Automatic Lubrication Systems aren’t feasible. This video is an introduction to single point automatics. 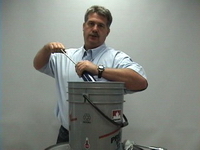 FLO Lube Tip – Single Point Automatic Lubricators: Part 2. This video is Part 2 of an introduction to single point automatics – how they operate and their set-up. FLO Lube Tip – Things To Know About Grease Fittings. 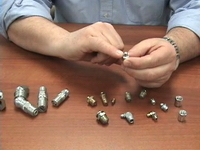 This video is an introduction to some of the common characteristics and the more important things to know about grease fittings and couplers. FLO Lube Tip – Air-Operated Lube Pump Ratios. 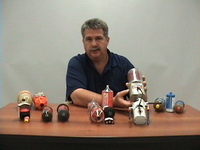 This video looks at pump ratios on air-operated lube pumps – what they stand for and why it’s important. 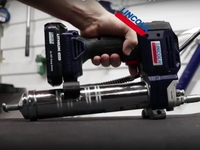 Lincoln Industrial how to video: Grease gun maintenance cleaning procedure. Debris and contamination is the #1 cause for failure of grease gun operation. In this video one such unit is evaluated and repaired. Cleaning and maintaining equipment is essential to reducing unwanted downtime. The process covered here takes only a few minutes and should help equipment last longer and stay in the field longer. Whether you know it as an automatic lubrication system (ALS), an autogreaser or a centralized grease lubrication system, an ALS automatically lubricates multiple points on a machine from a centralized pump/control unit which is mounted in an easily accessible location. However, there are several manufacturers offering automatic lubrication systems in the industry today, so when you’re sourcing a system, it’s important to make sure you’re comparing apples to apples. Make sure you ask the questions in this Newsletter. For a more detailed analysis, visit our page: Questions_To_Ask_For_Auto_Lube_System. Hard-to-reach lubrication fittings present a major maintenance problem for the proper care of all types of machinery. Hidden or guarded lubrication fittings can lead to production downtime, higher operating and maintenance costs and the risk of personal injury to operators and employees. The Ontario Occupational Health and Safety Act and Canadian Standards Association section Z432-04 Safeguarding of Machinery, item 14 dealing with “Maintenance” states: “Machinery shall be designed to enable all routine adjustments, lubrication and maintenance to be carried out without removing the guard or disabling a safety device, and without extensive dismantling of machinery components.” Here are some suggestions on how to deal with these issues. A few helpful hints about how to properly store and handle grease. The unfortunate reality for most companies today is that the current in-plant lube program is not something that was proactively planned out and implemented. Instead, it was a piecemeal process, developed over many years over the life of the company through the addition of new equipment, processes and personnel. As a result, any number of problems can occur. A Lube Audit can help. Here are the basic steps to a Lube Audit and the results you can expect. Refilling the lube reservoir through the lid will result in possible contamination of the system and ultimately lead to system breakdowns and unnecessary repairs or replacement costs. 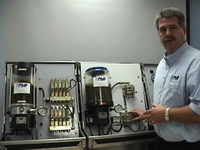 Here are 3 ways to properly refill the reservoir, while maintaining system integrity. In a study conducted by a major component manufacturer, improper lubrication accounts for 53% of all bearing failures. 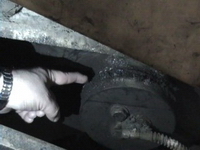 Bearing failures are a major cause of equipment downtime and significant unnecessary maintenance costs. The majority of failures are caused by: contamination of bushings by dust, dirt and moisture; inadequate amounts of lubricant applied to bearings; or over-lubrication of key pivot points. 30 years of lubrication experience at FLO Components has shown us that there are 5 common lubrication mistakes. For most companies, there comes a time when it becomes more economical to buy grease in bulk instead of cartridges. When you reach that point, these are the steps you’ll need to know to modify your grease gun so you can fill it from bulk, as well as the procedures for filling the gun from a bulk container or filler pump. 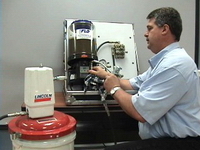 An Automatic Lubrication System will not replace your regular machine maintenance inspection. You still have to check for loose or damaged lines and make sure that everything is operating smoothly. Here we outline the proper steps or procedure you should follow for a daily “walk-around inspection” on any auto greaser, regardless of brand. Spring is here, and as we gear up for the upcoming production season, let us not forget that our mobile equipment also needs some extra TLC to prepare for the long summer months. Here is a brief checklist of things you should do now to make sure your automatic lubrication system (ALS) operates properly throughout the summer. What’s the point of using an ALS? Here are 8 Reasons why you would use an Automatic Lubrication System. Whether or not you conduct regular maintenance inspections or “walk arounds”, here is a brief checklist of things you should do now to make sure your automatic lubrication systems operate properly throughout the winter. Contact us us for more information or with any questions you may have.